I won’t bore you by repeating how to make the heart again (you can see the how-to on the hearts HERE). The one thing I did differently on this red heart was I carved out a hollow in the back to embed the hanger into (see photo of the back below). This piece is actually 3 necklaces in one that can all be worn together or separately. The flat silver necklace the heart is strung on is an old one that’s been sitting in my jewelry project box for years. Turned out the big heart fit on it perfectly. I can easily remove the heart if I want to hang it on something else. The other two necklaces are a combination of metal bracelets (also from Ornamental Beads) and sections strung with red beads. 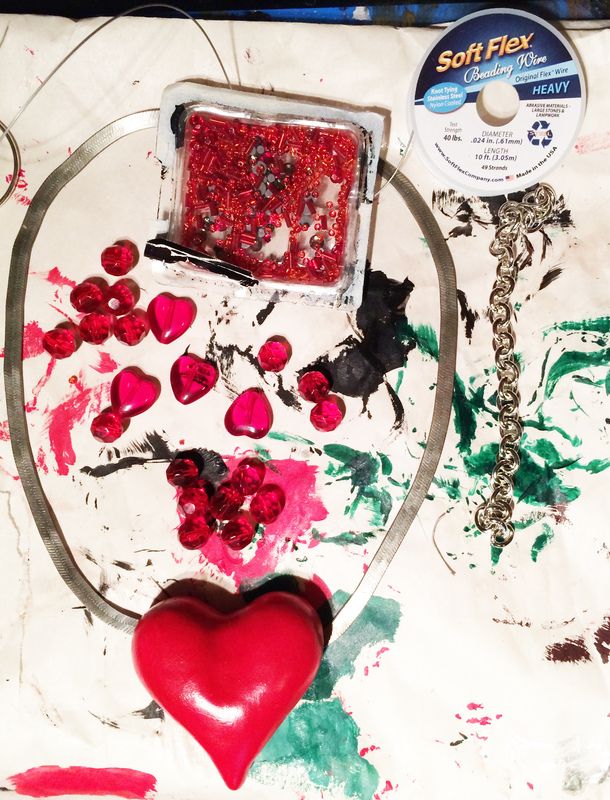 The red heart beads came from Ornamental Beads and the other beads were left over from other projects. For the bracelets, I just removed the clasps with my handy needle-nose pliers and put them together with the strung bead sections to form two necklaces. Here’s what the back of the necklace looks like: (Always add a bit of fabric where the painted piece will touch skin). 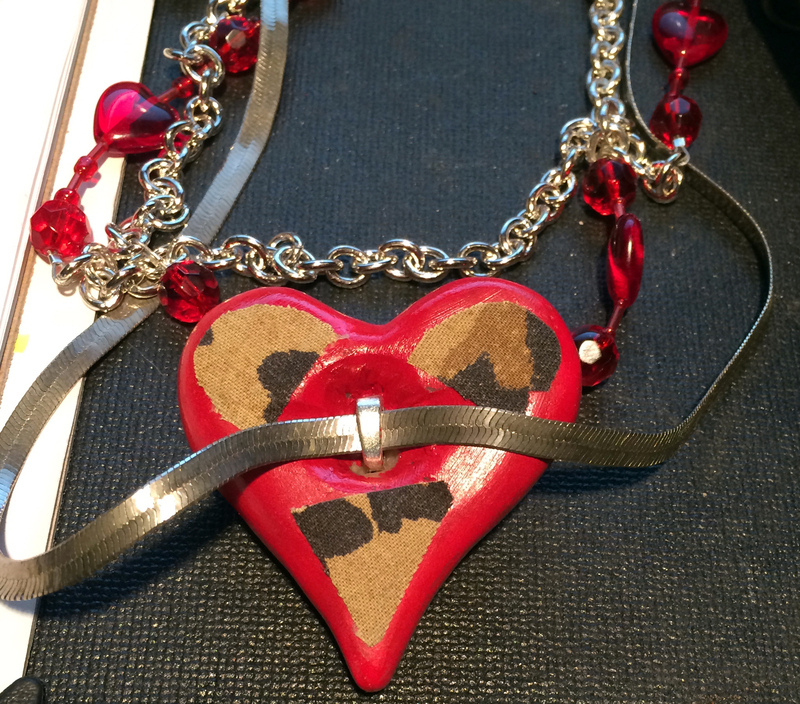 Did you make some cool jewelry for Valentine’s Day? I’d love to hear about it in the Leave a Reply/Comments section! This entry was posted in DIY, fashion, Jewelry and tagged DIY, diy valentine, diy valentine jewelry, heart, heart Jewelry, make your own valentine necklace, polymer clay, polymer clay jewelry, sculpy, sculpy heart, sculpy jewelry, Valentine, valentine jewelry, valentine's day, valentine's day diy, valentine's diy. Bookmark the permalink.